In most communities youth have a serious struggle on hand to look beyond the present for the future, especially their careers, longing for dignity and a decent existence. While this applies to all the youth, the struggle of youth from marginalized and discriminated against communities are much more. It is on this terrain that, Chetan Bhagat, the popular writer turned columnist, decided to advise Muslim youth about their future path, choices. His advice came in the form of an article, a letter from a Muslim youth, in a leading daily. The article was so insensitive to the plight of Muslims; it amounted to blaming them for their own plight; and so subtly advised them to opt for leaders like Narendra Modi. This was not a direct advice, Modi’s name was not spelt but the hint was obvious. Muslim youth felt hurt and insulted by the tone and tenor of the letter and wrote a response which is widely circulated on the net. The letter in nutshell points out the plight of Muslim community as a whole and Muslim youth in general; it also expressed the hurt feelings of the youth. The feeling of hurt and anger is oozing through this expression of the sigh of Muslim youth, a group currently facing myriad problems. The letter questions the democracy of ours, “If it were so, Afzal Guru wouldn’t have been executed to ‘’satisfy the collective conscience of the nation’’. Muslim youth would not have fallen prey to minority witch-hunting, and their killers not decorated with gallantry awards.” It also questions the popular perceptions that the Muslims are under the influence of Maulanas and that Muslims vote in herds. The letter is an apt response to the proclivities of the crass writers like Bhagat. But Bhagat is not alone in not understanding the plight of Muslim youth. There is a large section amongst our population who will buy the type of crudity which Bhagat is displaying in his article. As such Muslim community’s plight has been worst compounded during last three decades. There are multiple factors; some of them have a lot to do with the historical background of Muslims in India, partition tragedy, the ascendance of global terrorism in pursuit of oil wealth by US and coining of the term ‘Islamic terrorism’ by US media. Other factors relate to the rise of communal politics, politics of religious identity and some others have a deeper relation with the communalized state apparatus. A large section of Indian Muslim community comes from the untouchables, the shudras, who embraced Islam under the influence of Sufi saints. This was done to escape the tyranny of varna-caste system. During colonial period, the poor Muslims plight remained unaffected. This was mainly due to the fact that in the aftermath of 1857 rebellion, British subjected Muslims to greater repression as they held Muslims as having bigger role in 1857 event. When the community started recovering from its snubbing, some efforts for modern education leading to Aligarh Muslim University began in right earnest. Still these efforts were restricted more to the Ashraf, elite and low caste poor Muslims remained where they had been from centuries. Majority of Muslims were part of freedom movement, ignoring the communal appeals of Muslim League. Later Muslim League, which began with the sections of landlords and Nawabs also, started getting some support from section of educated and elite Muslims. With partition, a large section of traders, bureaucrats and educated Muslims left for Pakistan, while the majority of poor Muslims remained here in India. At the time of partition the average condition of Muslims and dalits was practically similar. Despite that the future trajectory of both these communities was diametrically opposite. Dalit identity gradually gained some respect due to the struggles led by Dr. Ambedkar. Dalits also got reservations. The impact of these was very positive on the march of dalits towards equality. Muslim community had another fate in store. They started being blamed for partition, started being looked down upon as ‘other’ and their employment in Government jobs became difficult, much below their percentage in population. This discriminating against became a sort of disincentive for the youth to go for studies. To add to the woes of the community communal violence directed against them started picking up leading to the increased feeling of insecurity by and by. By now this minority, close to 13-14% has a huge representation amongst the victims of communal violence. The rise of communal politics, beginning with Shah Bano case and then the aggressive Ram Temple movement, started pushing the community into the margins of the society in a very active way. Muslim political representation in the representative bodies, Lok Sabha (Parliament) –Vidhan Sabhas (state assemblies) started coming down heavily. Ram Temple movement and the accompanying violence left the community gasping for survival. To add to this came the global phenomenon of terrorism, Al Qaeda, its entry into Kashmir and the demonization of Muslims which went up in due course of time particularly after 9/11 2001. The investigating authorities had a simple formula, if there is an act of terror, Muslim youth must have done it. The consequences of this are simple enough, after every acts of blast arrest hundreds of youth put them behind bars and by the time courts declare them innocent, their future life is ruined and the label of terrorist is permanently stuck on their foreheads. To supplement to this the encounters, Batla House, Ishrat Jahan completed the picture of demonization of Muslim community in general and Muslim youth in particular. Running parallel to this adverse situation a social humiliation, the attitude of state, police bureaucracy and average people picked up rapidly, and by now Muslims are practically barred from buying houses in the mixed localities, ghettoisation of community in major cities has started going up. A de facto second class citizenship for them is being gradually getting constructed. It is against these odds that a large section of Muslim youth stood firm with grit and determination and made their space in IT world and in occupations which did not require state patronage. As such also many of them have struggled to make their space in non formal professions, films sports. Interestingly even in America, the subjugated class of African Americans has higher representation in Films, music and sports. Their bigger presence in similar areas in India also has its own tale to tell. In such a situation the sympathetic sounding ‘opponents’ of the ilk of Chetan Bhagat are scattered in different walks of life, giving them advices to the effect that Muslims are responsible for their own plight. When a girl is raped many from such tribe blame the girl for the fate she met, something is wrong with her. 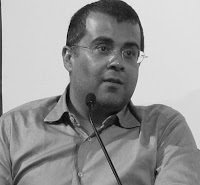 Victim as the culprit is the language of the conservative ideologies, Chetan Bhagat does represent such a mind set when he writes to Muslim youth the way he has written this article.